I read Cathedral of the World to get a better sense of universalism, following a pastor friend's statement that he was a universalist. The book didn't change my own theology, which is more aligned with orthodox Protestantism. While I cannot agree with many of Church's universalist beliefs, I did find some wisdom and insight in Church's words. But it was words like the following that give me pause:Though named after two doctrines [Unitarian Universalism], ours is a nondoctrinal faith. By definition, we don't even have to believe in our own name. We can be free from, for, or against whatever we choose. (p. 123) Words like this do not make sense to me logically or theologically. But Church does offer some surprises. He claims, in a conservative vein, that "Liberal theology doesn't take sin and evil seriously enough" (p. 98). And I particularly admired Chapter 24, "Love and Death", written shortly before Church died from cancer.While I don't agree with most of Church's theology -- for a book of this type, there is a glaring lack of a Scripture index -- I'm glad I read the book. While the book made me wish I could have known Mr. Church personally, I don't feel it delivered what it advertised. It's essentially a "Greatest Hits" collection of excerpts from Church's previous writings that he felt most spoke to his universalism. But the material doesn't come together in a cohesive way to present a unified theology -- at least, not for me. I'm inclined to cut the author some slack given that he was, you know, dying when he put the book together. But if anything, I think it functions more as an introduction to Church's unique brand of liberal Christianity -- worthwhile on its own terms -- than a comprehensive "here's how and why one should live as a universalist". Regardless of its function, I found the book to be, sadly, incomplete. If Church has been as influential in the UU denomination as I think he has, this book explains how the denomination has turned from humanism to deism. While there is much to agree with in this book, I cannot agree that it makes sense to define god any way you want, and thus since all these different people believe in some kind of god, be it love, a creator, an overlord, or whatever, we are just looking at different aspects of the same god. Sorry, Forrest, that just doesn't fly for me. Clearly Church believes in a creator. I don't think there is any such being out there.It was worth reading tau understand how some UUs are thinking, but it did not resonate with me. This was a great book. Admittedly, not what I was expecting from the subtitle; but the thoughts, insights, and reflections offered here are wonderful. I highly recommend this book. Not for those hoping for an explanation of Universalist theology, but for those who want a glimpse of that theology lived and preached--read the book! 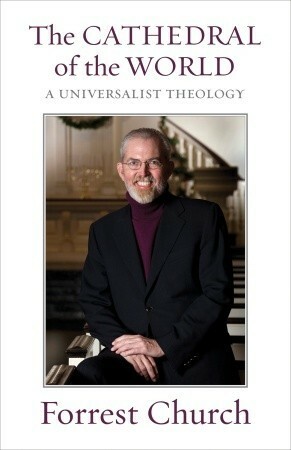 Still searchingI read this book on recommendation of a friend as I seek to understand UU thinking and theology. I find I have just as many questions at the end as I did before I started. Read this with UU congregation book group. Lots to think about and try to put into practice. Forrest Church - Rev. Forrest Church served for almost three decades as senior minister and was minister of public theology at All Souls Unitarian Church in New York City. He wrote or edited twenty-five books, including Love & Death.